Kick off your visit on the 26th (Wed): see some colorful creatures with a scuba or snorkeling tour. Get ready for a full day of sightseeing on the 27th (Thu): identify plant and animal life at Australian Butterfly Sanctuary, then kick back and relax at Trinity Beach, and then enjoy the sand and surf at Palm Cove Beach. To find other places to visit, more things to do, where to stay, and other tourist information, read our Cairns online travel route planner . New York City, USA to Cairns is an approximately 23.5-hour flight. You can also do a combination of bus and flight; or do a combination of train and flight. The time zone difference moving from Eastern Standard Time to Australian Eastern Standard Time (Queensland) is 15 hours. Expect a daytime high around 83°F in September, and nighttime lows around 66°F. Finish your sightseeing early on the 27th (Thu) so you can travel to Melbourne. 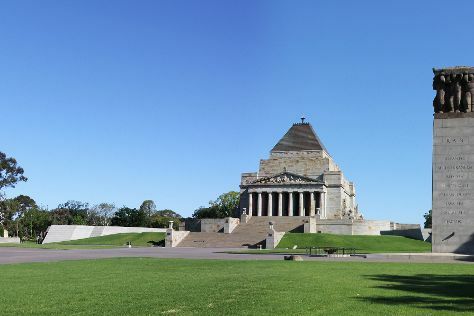 On the 28th (Fri), examine the collection at Melbourne Museum, then enjoy breathtaking views from Eureka Skydeck 88, then brush up on your military savvy at Shrine of Remembrance, and finally stroll through St. Kilda Beach. To find other places to visit, maps, ratings, and other tourist information, read our Melbourne trip builder app . Fly from Cairns to Melbourne in 5 hours. Alternatively, you can drive; or take a train. Traveling from Cairns in September, things will get colder in Melbourne: highs are around 63°F and lows about 44°F. Finish up your sightseeing early on the 28th (Fri) so you can travel to Sydney. On the 29th (Sat), take a stroll through The Rocks, trek along Bondi to Coogee Beach Coastal Walk, and then tour the pleasant surroundings at Bondi Beach. 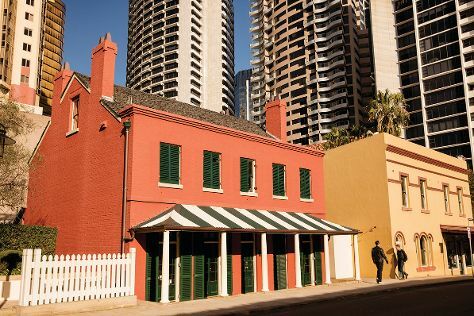 On the 30th (Sun), you'll have a packed day of sightseeing: examine the collection at Australian National Maritime Museum, take a stroll through Darling Harbour, and then catch a live performance at Sydney Opera House. To find traveler tips, other places to visit, where to stay, and more tourist information, read our Sydney trip tool . You can fly from Melbourne to Sydney in 3.5 hours. Other options are to do a combination of flight and train; or drive. In September, Sydney is a bit warmer than Melbourne - with highs of 71°F and lows of 54°F. You will have some time to spend on the 1st (Mon) before leaving for home.